Edgy & SO Chic: Rock These Amazing Styles This Summer! While we can go on cribbing endlessly about how HOT it is, let’s face it, dressing up for the summer does give us an excuse to rejoice! When else will we flaunt our enviable collection of pretty summer dresses, those vibrant colours, peppy flower prints, pristine whites and, above all, the super-rugged, ripped denims, if not NOW?! And since we’re forever on a hunting spree for summer dressing, we'd have you know that the Lee Cooper Spring-Summer 2015 collection is replete with denims in lovable hues, edgy checkered shirts, acid-wash, patchwork jeans, tie-&-dye tops, peasant tops and just so much more! What’s more – two FAB bloggers from the POPxo Blog Network have put together some chic, sassy styles from the latest collection right here! 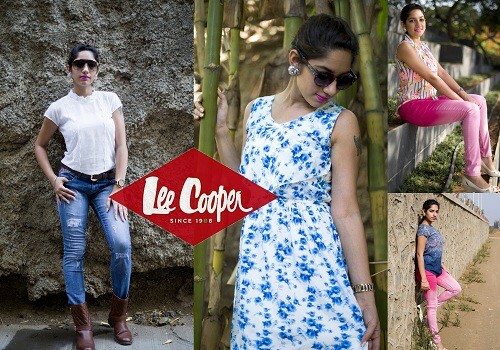 Aleena was so in awe of Lee Cooper’s latest collection that she couldn’t keep herself from trying a number of different looks - four, to be precise. Her looks varied from a floral sojourn with pink denims and a crisp white top with classic, ripped jeans to a faded, tie-and-dye tee with pink-hued pants and the forever beautiful printed summer dress! We totally adore how well she’s put together vibrant colours with comfortable styling – just the perfect combo for the season! Check out her detailed post here. 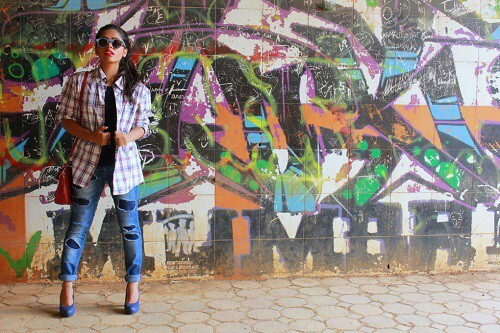 Kavya’s fashion sense is as badass as her! 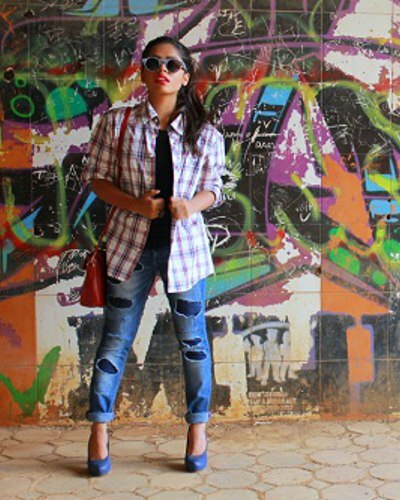 With Lee Cooper’s Spring-Summer 2015 collection, she has broken boundaries of conventional dressing (yet again) by complementing her look with an oversized checkered shirt from the men’s section! Her edgy style here comprises a well-fitted black tee and a pair of rugged, patchwork jeans. We love how Kavya has added that touch of chic with a tight ponytail, and some edge with a chunky blue heels and a red satchel. Read her detailed post here. *This is a sponsored post for Lee Cooper Jeans. Check out their FB page here.